The QuickLite? 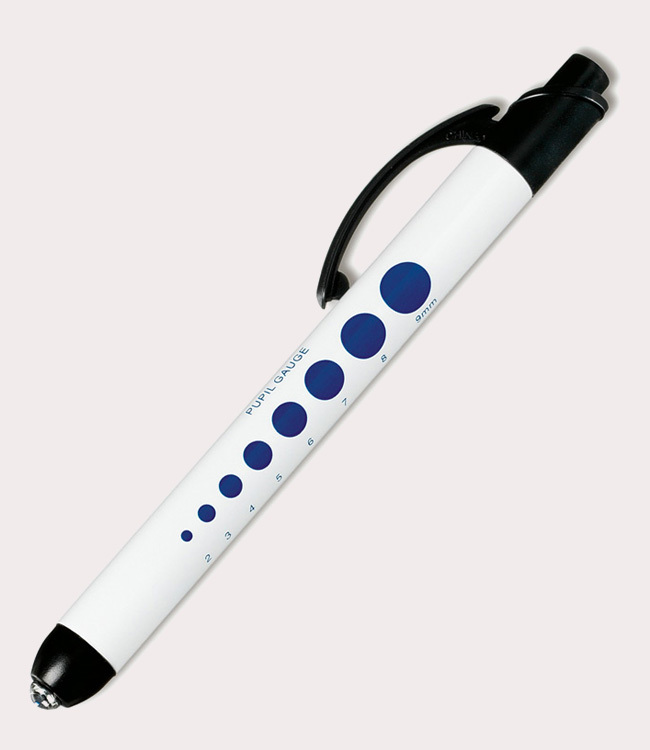 Pupil Gauge Edition penlight is push button activated and features metal construction, pupil gauge imprint, standard illumination. Inlcudes 2-AAA batteries.